The Cruise Ambassadors of Sydney are preparing themselves to greet 10,000 international visitors during the upcoming, record-breaking cruise season. 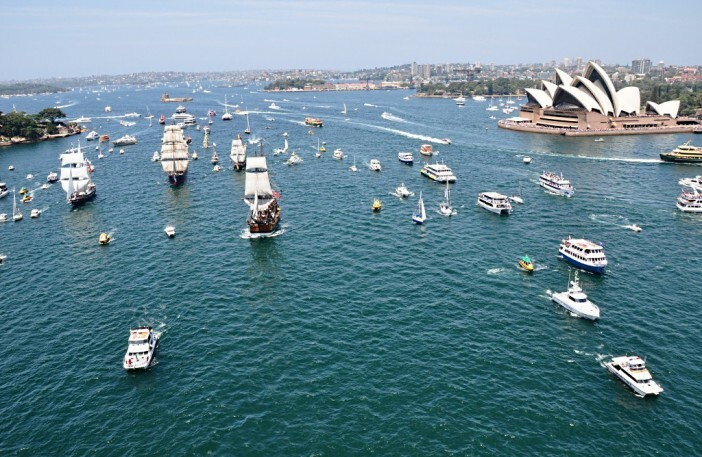 Between now and May record numbers of cruise passengers will be arriving in Sydney Harbour as the tireless ambassadors strive to make their trip as enjoyable and interesting as possible. The volunteers will welcome the visitors at the Overseas Passenger Terminal at Circular Quay and the two White Bay wharves. With more than 290 passenger vessels due to visit Sydney before May, Lord Mayor Clover Moore expects a busy season for the ambassadors. The initiative has been running for four years and has grown steadily, with the ambassadors welcoming 44 ships last season and handing out 6,625 maps and 2,298 official guides. The scheme is held in partnership with Destination NSW and Sydney Ports. “One person asked where the Opera House is and I said, ‘Turn 180 degrees’. A lot of people are just looking for their hotels and how to get there, for taxis obviously, and many more want to know what to do and where to eat. Image sourced via Flickr Creative Commons. Credit: Mike Brand and Travis Simons.